MILITARY BOWL: Marshall downs Maryland 31-20 – Marshall actually under-gained their season average yesterday. The Herd gained 337 yards through the air and 138 on the ground. Maryland’s 391 was right around what they’d been gaining this season but the key to this game was turnovers. Maryland threw a pick and turned the ball over on downs. The Terps did a good job forcing Marshall to punt but even so, the Herd never coughed up the ball; it’s tough to win a game when you’re -2. Ariel, Matty-D, and myself all had the Herd while JSB and Jake Goldberg had Maryland. TEXAS BOWL: Syracuse rallies over Minnesota 21-17 – The Prophet punished me. He said nothing of my pick against the Cuse because that’s what he does. He sits there silently and proves you wrong, and then comes the noise. I guess another public apology is in order. Syracuse shut down the Gopher ground game and forced Minnesota to take to the air. The Gophers attempted 30 passes, something they don’t do very often (sixth-lowest attempt in the FBS), and only completed 13 passes. Yeesh. Ariel was the only one to have picked the Orange. FIGHT HUNGER BOWL: Washington defeats BYU 31-16 – BYU’s Taysom Hill had a great game, well yardage-wise: 426 total yards from scrimmage. He did have a rushing touchdown but none through the air and an interception thrown. The difference was that Washington was able to step up and force BYU to kick field goals when the game was close in the first half, and then shut down BYU in the second half. Ariel, JSB, and myself all had Washington while Matty-D and Jake had BYU. Don’t forget to vote for who you think will win each game below the previews! The Irish return to the Bronx, a place that holds a special place in Notre Dame history. These two teams matchup very evenly offensively, the difference will be that Rutgers ranks towards the bottom in terms of passing defense, letting up 3596 yards this season. Notre Dame QB Tommy Rees will likely take advantage of that as he threw for nearly 3000 yards and 27 touchdowns. Rutgers almost didn’t qualify for a bowl but a win over USF in their final game gave them their sixth win. Notre Dame has had a better season, but a few tough loses down the stretch to Pitt and Stanford halted the potential at a ten-win season. Despite that, all three us believe in Norte Dame, or “Rudy’s School” as JSB refers to it. Cincy comes into this one after taking Teddy Bridgewater and Louisville to OT and almost pulling off the upset, almost. A win would have given them second place in the American Athletic Conference. UNC comes into this one after being edged out by their arch-rival Duke. Prior to the loss, the Tar Heals rode a five-game winning streak to make them bowl eligible. The Tar Heals lost QB Bryan Renner mid-season to a shoulder injury but back up Marquise Williams did a great job taking over, throwing 14 TDs and leading the team in rushing yards with 531 yards and six TDs. Cincy comes into the game ranked 21st in total yards led by QB Brandon Kay. Despite not being the Starter at the beginning of the season, Kay threw for over 3000 yards; the fourth time a Bearcat QB has accomplished this feat. Talk about a Back Up Plan. Matty-D is going with the Tar Heals in this one while JSB and myself are going with Cincinnati. HERE WE GO!!!! A GOOD OLD FASHIONED SHOOTOUT!!!!! I love these kinds of games. Explosiveness, explosiveness, explosiveness. Don’t get me wrong, I love a smash-mouth game, but you need these games in your life, it completes a great day, nay season, of football. This game is essentially a “Welcome to the League” game for Louisville as they will be joining the ACC next season. 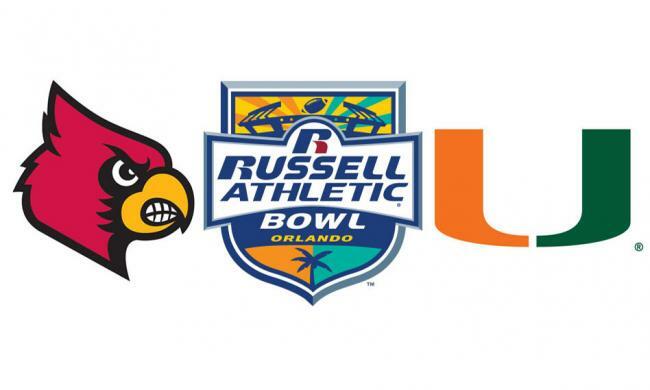 The Cardinals will be in the Atlantic while Miami is in the Coastal, but these two teams will face off next season as well. It’s Bridgewater versus Morris. Bridgewater wants to avenge missing out on the BCS, on the Heisman, and that’s why all three of us are going with Louisville. 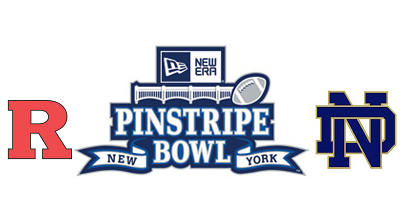 Well I was way more excited for this game until Thursday when Brady Hoke ruled out QB Devin Gardner. Gardner has a broken foot that he suffered in the second quarter of the Ohio State game, he’s a badass. However, Michigan is ranked 45th in passing offense which will now be put on true freshman Shane Morris’ shoulders. Morris has completed 4 of his 9 attempted so far this year, throwing one interception. Michigan’s rushing game, however, ranks 102nd in the nation. Michigan will look to Jeremy Gallon, a WR who gained 1284 yards who has said that he “feel(s) like (Morris has) been here forever.” KSU’s offense is also not as high-firing but their rushing attack ranks 53rd in the nation while their passing game ranks 76th. Like Michigan, KSU’s passing game features one of the best receivers in the country: Tyler Lockett (71 Rec for 1146 yards and 8 TDs). JSB and Matty-D are going with Michigan while the loss of Gardner is too much for me, I’m going with Kansas State. No games tomorrow because of the NFL so I’ll be back on Monday for Day Seven!